Acting for Aberdeen Standard Investments, GVA has completed the letting of a warehouse and industrial unit totalling 67,802 sq ft at Solar Park in Solihull, on completion of a comprehensive refurbishment. Online fulfilment company, Western Post UK Limited has taken the recently refurbished Unit 500 on a 15 year lease at close to the quoting rent of £7.00 per sq ft. 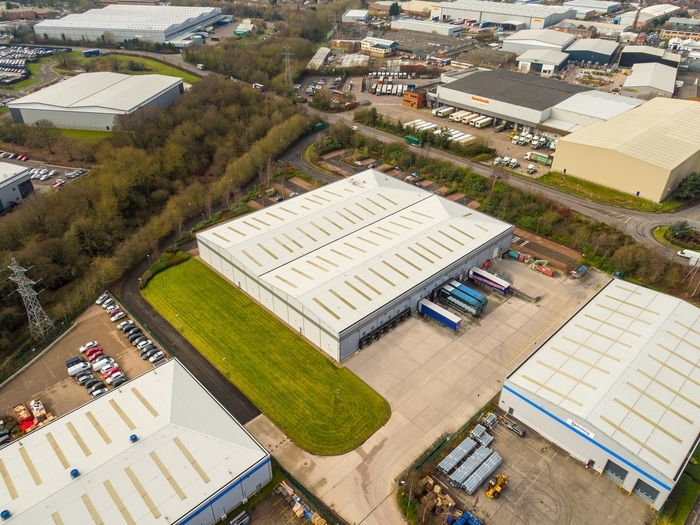 The letting includes additional land which can be used to accommodate future expansion of the building or provide more HGV parking, subject to planning consent. Chris Kershaw, GVA, said: “Solar Park is a premier division, 21 acre, 285,000 sq ft estate which has seen significant rental growth over the last few years. The decision to undertake a full strip out and refurbishment of the old John Lewis unit has proved to be well timed to meet the market demand. Alongside the warehouse space, which is fitted with 13 dock level loading doors, the unit features a separate loading yard, staff parking for 160 vehicles, and fully fitted office accommodation across two floors. Solar Park provides ready access to the national motorway network via Junction 4 of the M42, which is less than 1.5 miles away and Birmingham Airport which is 3 miles away. Other occupiers at Solar Park include Telefonica, Amtico, and Sytner. GVA is jointly appointed as letting agent at Solar Park with Savills.